After the LG G6 launched the 18:9 display into the smartphone world a slew of others have followed with their phones and now the price just got slashed. The new Redmi 5 from Chinese manufacturer Xiaomi offers the screen for less than £100. 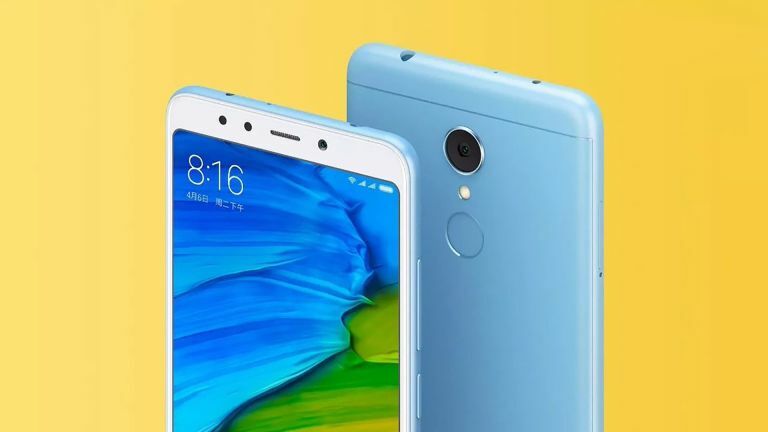 Xiaomi took the wraps off its Redmi 5 and Redmi 5 Plus smartphones which feature 18:9 displays in a minimal bezeled handset with rounded edges. The phone has an aluminium body and features a rear placed fingerprint sensor. All in all this is a good looking handset that really does pass for a premium phone. The Xiaomi Redmi 5 has a 5.7-inch HD+ LCD while the larger Xiaomi Plus sports a 5.99-inch Full HD+ screen, both with that 18:9 aspect ratio. The Redmi 5 is powered by a Qualcomm Snapdragon 450 processor with 2 or 3GB of RAM while the Redmi 5 Plus goes for the higher end Snapdragon 625 CPU with 4GB of RAM. The Redmi 5 comes with a 3300mAh battery and either 16 or 32GB storage while the Redmi 5 Plus offers a 4000mAh battery and 32GB or 64GB storage options. The cameras on the phones are not clarified in detail at this stage but do feature 1.25-micron pixels so should be premium. There is also a selfie light for better front-facing photos. Both phones use the more old school micro USB for charging. The Xiaomi Redmi 5 starts at 799 yuan which is about £90 with 2GB of RAM and 16GB, or around £100 with 3GB of RAM and 32GB storage. The larger Xiaomi Redmi 5 Plus is around £112 for the 3GB RAM and 32GB storage version or about £135 for the 4GB RAM and 64GB storage model. The Xiaomi Redmi 5 and Redmi 5 Plus are available, in China at least, from 12 December.